I was not happy last year when I was unable to take leave to spend some time with DinoBoy during the school holidays, instead he has to go back to school every day to attend lessons in the student care centre. So I told myself then that we will spend some time out having fun during the term break this year and we did! 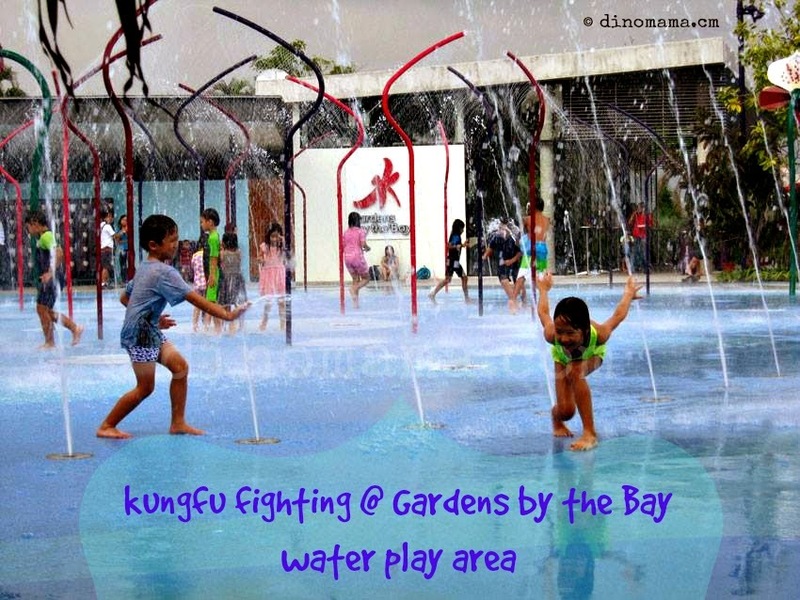 The March 2014 term break started on the 14th for DinoBoy as the school is holding a sports carnival for the upper primary students thus the lower primary students are not required to report to school but this mama was unable to take leave for that day thus he has to go to student care centre. Cristofori Music was having a warehouse sale that weekend, AuntieC wants to drop by to see if she can get an ukulele and some other stuffs, we tagged along too. And then we bought an ukulele too @ $18! 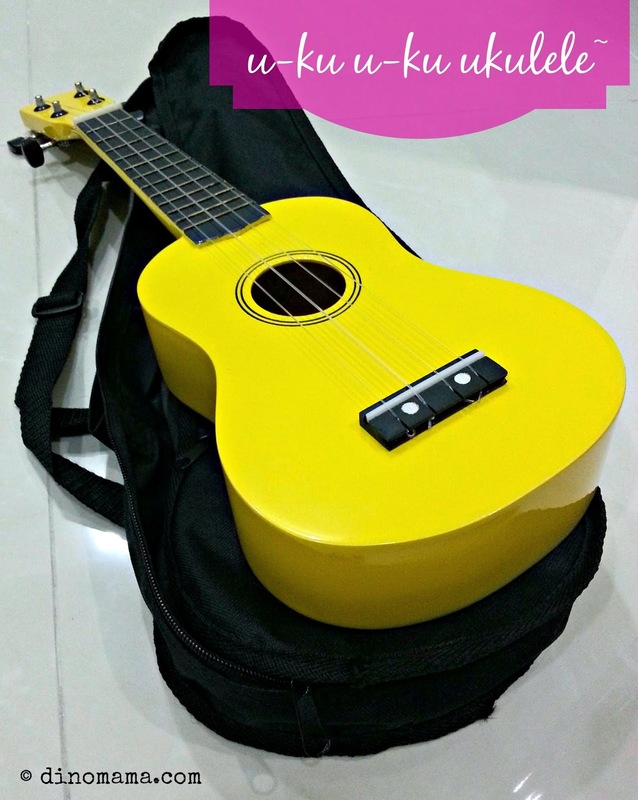 Now we are ready to start ukulele lesson soon! 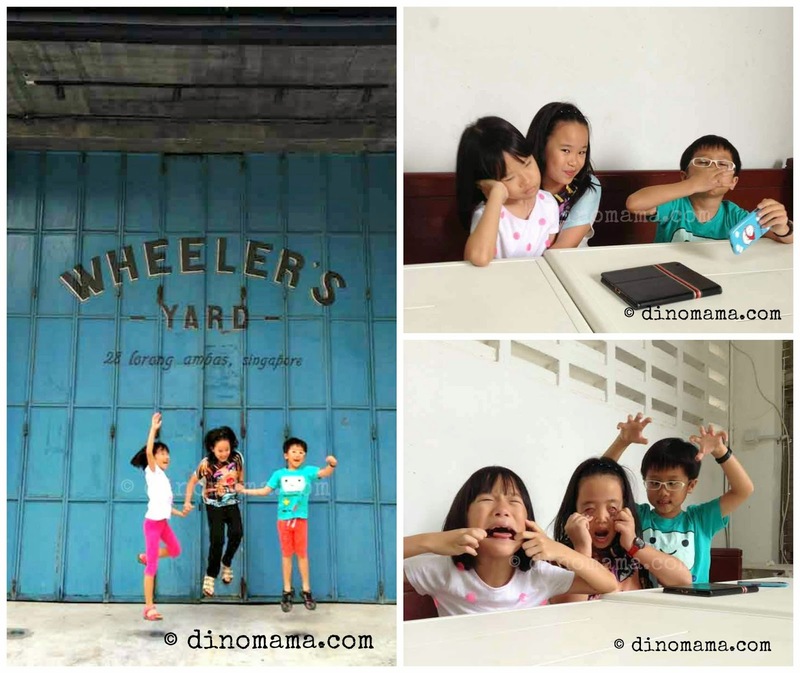 We headed out to check out a cafe; Wheeler's Yard, for our afternoon coffee. It was a Sunday and there were not much activities going on around the Lor Ampas neighbourhood but hidden behind the blue metal door is another vibes. The place is filled with youngsters, lazing with a cuppa while catching up with friends. Thus it also mean that it's not a place for mums with kids. I had a cup of coffee and it tasted so-so, really nothing to rave about this place. Visit when you are around the neighbourhood and feel like spending an afternoon with friends where food and beverages are not your main concern. 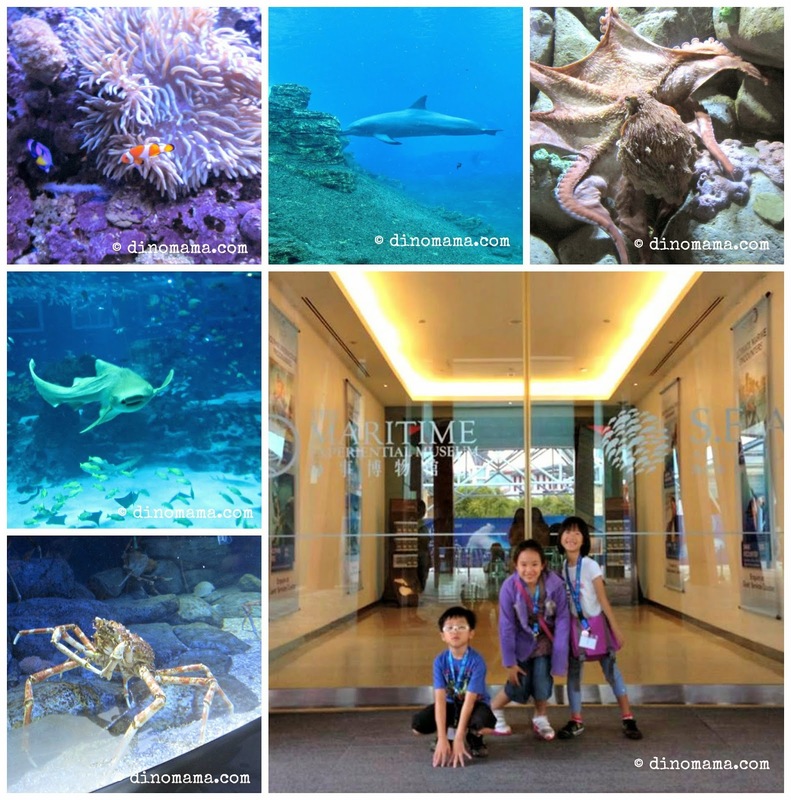 The kids went for Junior Marine Explorer at S.E.A. Aquarium that lasted for a whole day. I'm thankful for family and friends whom I can rely on. AuntieC ferried them to Resort World Sentosa in the morning and DinoAunt fetched them in the afternoon. I met up with them after work for dinner and 3 very excited children try to tell me about their adventure all at the same time. - went into the kitchen to see the chef prepare food for dolphins, sharks and the marine animals. "Their food is very stinky but I am not afraid of the smell!" We headed off to City Square Mall for our dinner, shopped at Daiso for an hour, had our dinner at the food court and then a few games of BINGO (game bought from Daiso) after we finished our food. We decided to go to Mustafa Centre which is just opposite the mall. It has been decades since I last stepped into the place and I forgot how HUGE the place is! There are so many things to see and look but that will have to be done another day, we made a bee line to the toys department. These 3 liitle imps are super duper happy when we left the place an hour later. 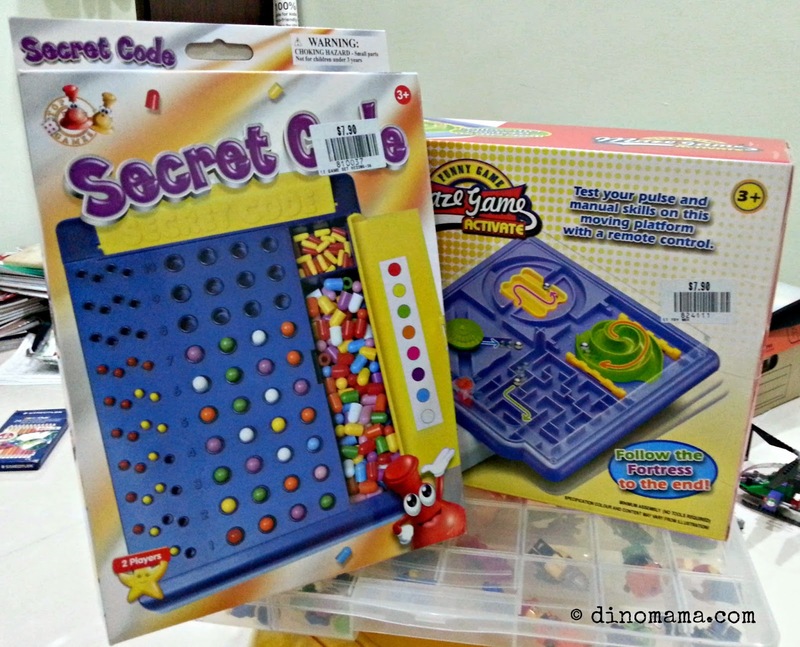 Anyway, I think I am more excited then DinoBoy to have bought these 2 board games @ $7.90 each. More fun time for us on weekday nights! Last year I missed the sign up date for the “Celebrating Wildlife” Series: Our Wild Isles – Bugs & Slugs (An Investigative Biodiversity Workshop) by National Parks Board held in Singapore Botanic Gardens, I made sure I check their event calendar weeks before the March holidays and managed to sign it up for DinoBoy. It was a "All Children No Parents Allowed" workshop so I have no idea what they did during the 4 hours inside the classroom but what I do know is DinoBoy enjoyed it a lot. 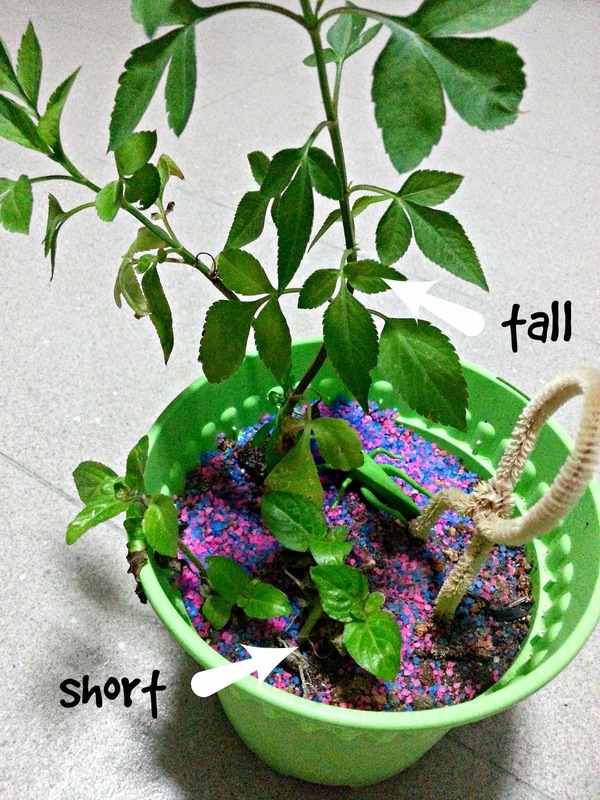 The kids brought back a pot of plant(s) they potted themselves during the workshop. - while in the class room they studied about the dragonfly and honeybee. The taller plant is Bidens Pilosa, which is also consider a weed in some parts of the world, however they have medicinal use for cold & flu. The shorter plant is Nelsonia Canescens, it has unique flowers that I hope I can see it from our plant in future. You can see the workshop details over here, or head off to National Parks Board website and look at their event calender for other interesting educational workshop for you and your family. 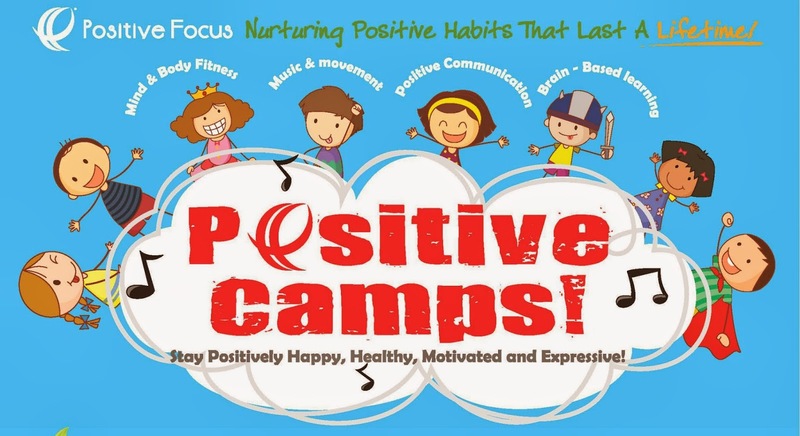 Positive Camp by Positive Focus! Singing and dancing, max loads of fun while learning to be positive and stay positive. All the great elements that a child will love, what more can I say? Too bad we could only attend 2 out of 4 days. Towards the end of the class, the kids were told to write down some of the strengths they think they possess. 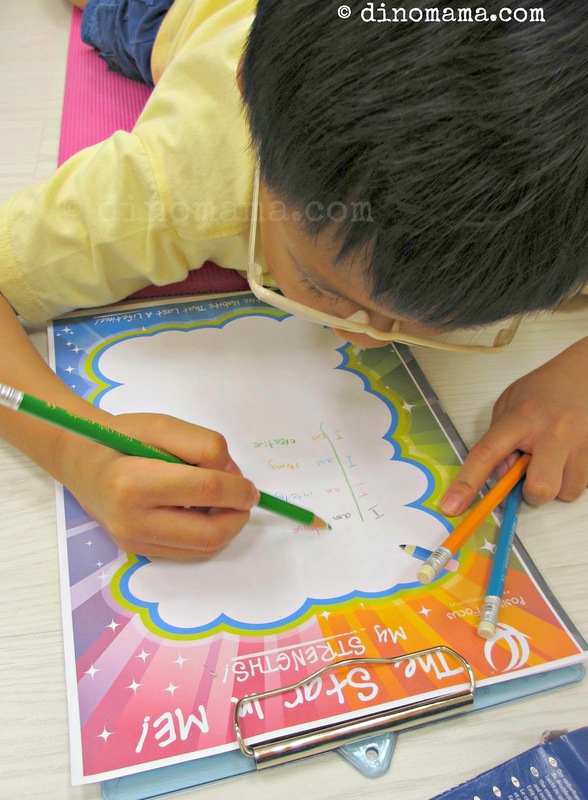 By writing them down the kids will see that they are actually more wonderful than they thought they were and they will know how to use their strengths to help themselves and help others. We were at Gardens by the Bay after lunch, I planned for this trip a few weeks before, just DinoBoy and me with our cameras. Yupe, I bought him a second hand Canon PowerShot recently since he always wants to use my Canon IXUS when we are out and if I let him use my Canon EOS even for a minute he will be a happy camper. We had a fun time going around taking photos of the warriors and the flowers. War of the Roses Floral Display has ended but watch out for Tulipmania that starts on 14 April 2014. Read more about this event over here. We missed this last year and will be heading down this time to see the beautiful tulips (my favourite flower) and also to chill out in this hot weather. After a cooling walk in the Flower Dome, we head off to the water play area where the 2 imps had a tremendous fun time there. Kungfu Fighting! Haiiii-yyyaaaa!!! Take that! We were at the Positive Focus camp in the morning and had some bowling fun at Downtown East. My mobile phone battery went flat and I could take photos of the kids bowling. You should see their excitement every time they throw (Yupe you heard it, they threw the ball that lands with a loud BONG! instead of roll it.) the ball and their funny actions when the ball missed the pins. We had an appointment with an Empowering Coach in the late morning and met up with DinoAunt in the afternoon at SmartKids Asia exhibition. Tired from the morning event, I didn't want to walk around the exhibition so I let DinoBoy played at the fun fair located at the back of the hall. 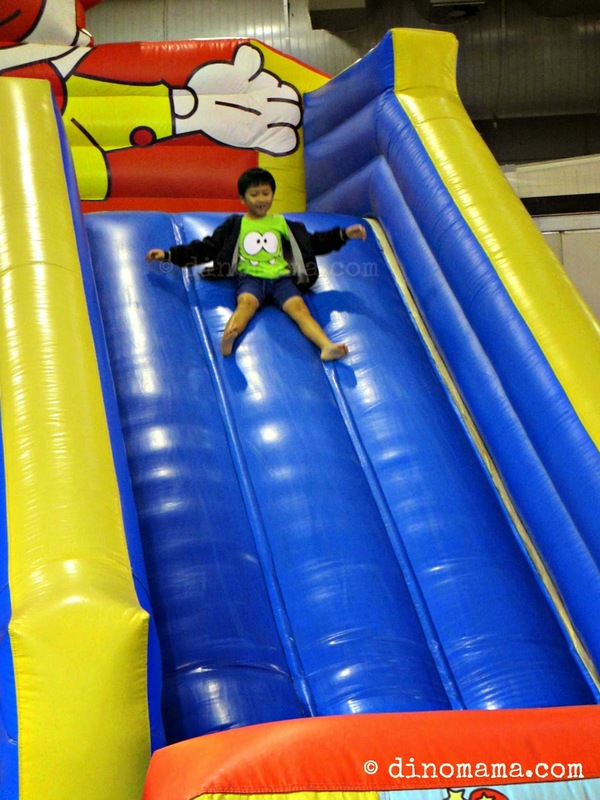 He had a $3 of 5min fun of climbing and sliding down this huge slide.